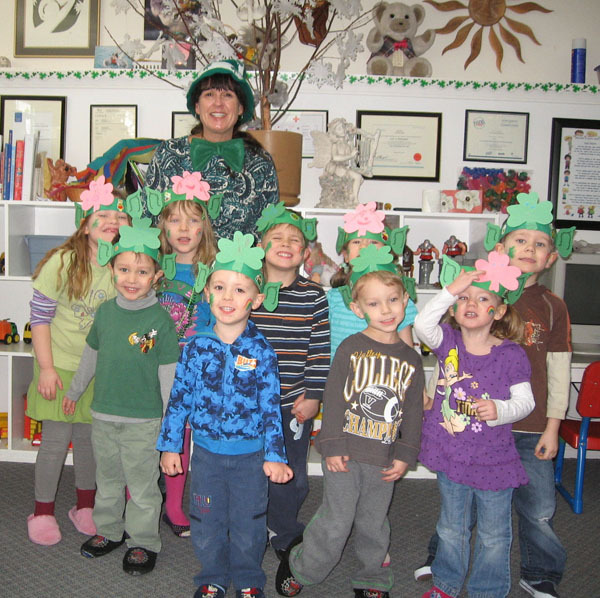 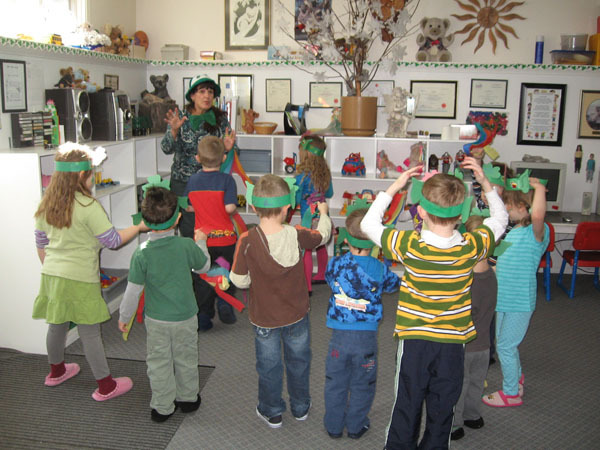 The whole theme is filled with St. Patricks crafts, stories and songs. 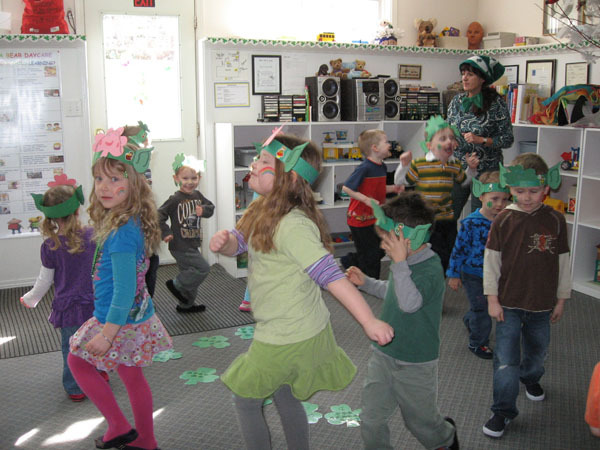 On the special day we play a variety of games and Irish preschool music. 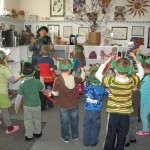 At lunch we have a special picnic with the children. 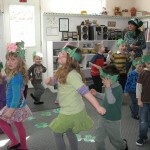 The Leprechaun pays a visit and always surprises the children.